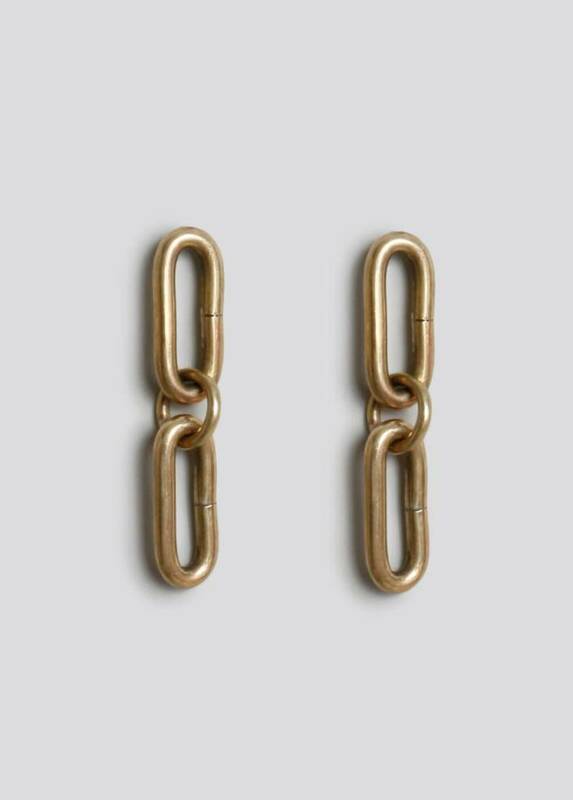 Brass chain link drop earrings from Rachel Comey. Produced by a supplier who makes traditional reigns & bridles for Peruvian show horses. *Please note that this item is a final sale, returns or exchanges will not be accepted.